VIRAL: Anti-Duterte TV Commercial Also Being Aired on GMA and TV5? This day has been very toxic for Mayor Rodrigo Duterte since an advertisement against him has started airing. 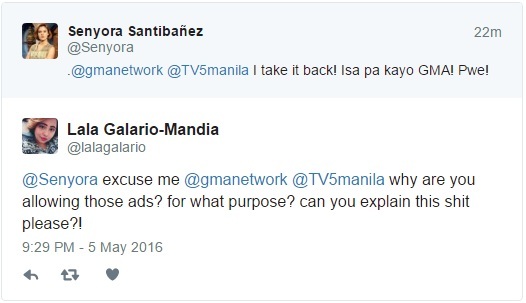 The social media sites have been flooded with comments and different reactions about the said TV commercial. 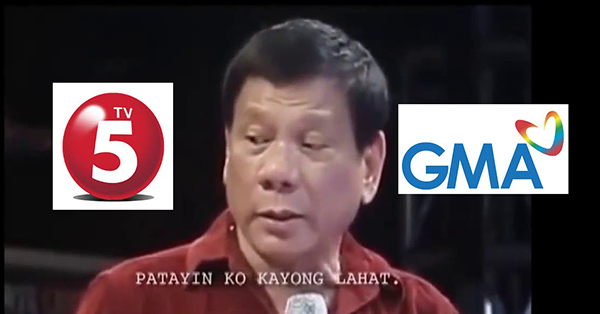 At first, netizens say that ABS-CBN exclusively accepted the airing, but many were surprised that the same TVC is being aired on GMA and TV5.